Good visibility and bad visibility is a subjective thing and people when commenting should be giving an example of what level of visibility they are comparing it too or with. For example, a diver that regularly dives in lake or quarries and they compare to that, may think the visibility is good. Those that regularly dive in deep waters may think that that the visibility is poor. We regularly have divers from both spectrums and then can arrive back from the same dive trip and one saying the visibility is good and the other saying it is not good. There are a number of factors that can affect visibility and they include: particles in the water (turbidity), salinity gradients (haloclines), temperature gradients (thermoclines) and dissolved organic matter. 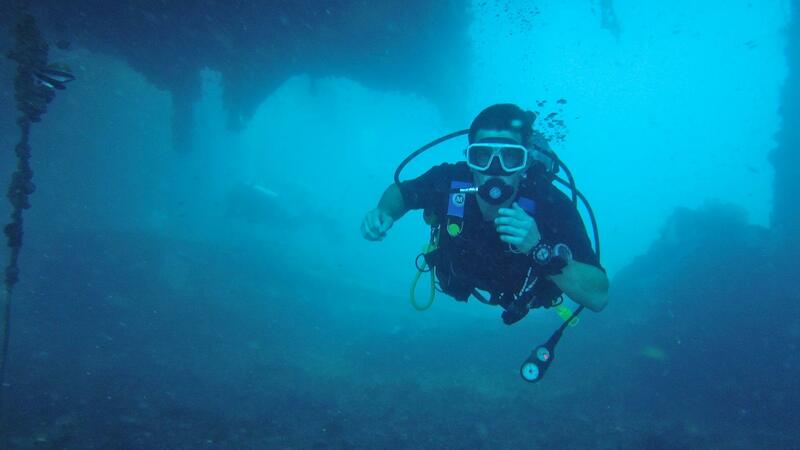 The visibility in and around the Phuket dive sites is forever changing. We do not have bad visibility seasons and good visibility seasons. For that reason we neither have go or bad visibility, but Changing Visibility. Our biggest issue pertaining to visibility here is that we have shallow waters compared to a lot of places in the world. If you depart on a boat from the bay in Chalong and head toward Phi Phi (42km away) the waters will not be any deeper than 40m and in most cases about 30 m.
As with virtually all places in the world, the best time to scuba dive is slack high tide. This is because there is minimal water movement. With minimal water movement less sediment gets pushed around and the water is clearer. Phuket has two high tides a day, one generally at night and one in daylight hours. The times are forever changing and are basically controlled by the moon cycle. There is more water movement around Full Moon and New Moon and less water movement around ¼ moon and ¾ moons . The greatest influence on visibility here is by upwelling currents. These upward pushing currents are virtually unpredictable. They are caused when certain winds hit each other forcing the bottom water up bringing typically colder rich nutrients from below. This is the main cause of visibility changes here and can create changes in visibility quite quickly. 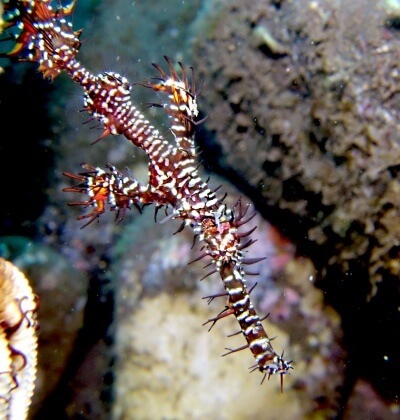 At dive sites like Phi Phi these changes can occur within a short period of time and often less than an hour. A diver can dive at Phi Phi at 10:00am and have 25m visibility and another can dive at 11:00am and it will be 5m. The statement that the visibility is “not great ” at Phi Phi is incorrect and it can be “good and bad” is much more accurate. This also goes for Shark Point, Koh Doc Mai and Anemone Reef. Racha Yai and Racha Noi are slightly different as the waters are generally deeper around those islands. 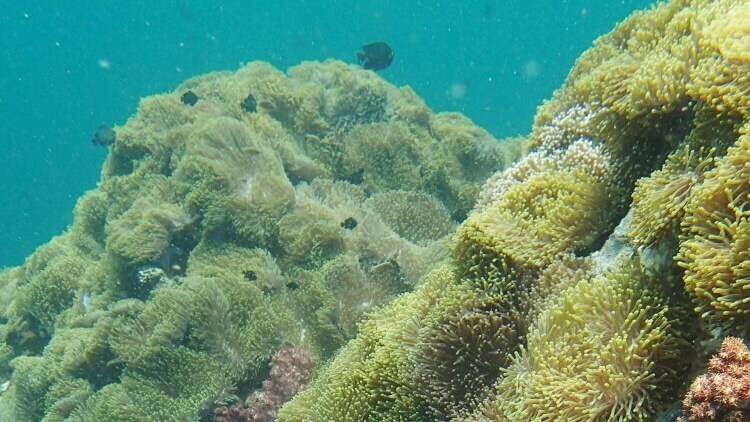 The waters around Racha Noi can be 50 – 60m and that makes the visibility there a lot better. The general visibility there is about 20 – 25m and as the water is deeper it is less likely to change because of upwelling currents. The visibility there is more stable and a lot better. They do have some not so good days there but in most cases it is around the 20 metre. Around the Racha Islands we do tend to get some regular thermoclines. These can interrupt visibility in different places at different depths. They are something that you can physically see and touch and actually swim away from is they are not moving very quickly. Again, some divers on the same dive site may run into a thermocline and others may not. The visibility according to one diver may be good and another may be bad. 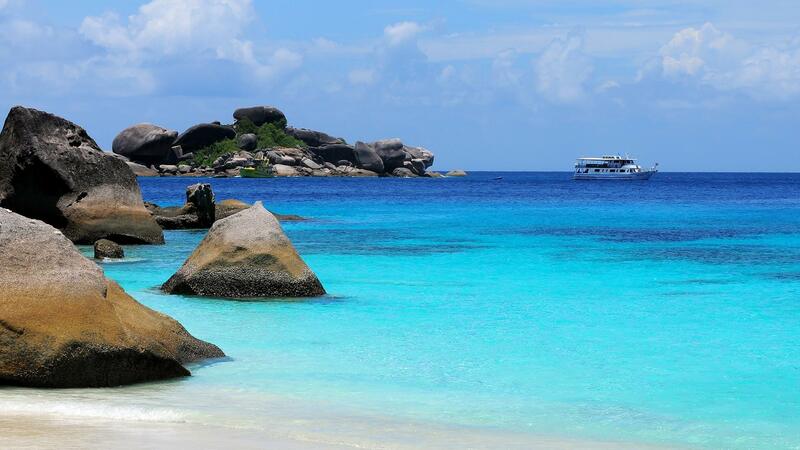 The Similan Island have deeper waters again and the liveaboard trips can provide some of the best visibility in the region. Having said that, Richelieu Rock is in shallower water and that site can have some dramatic changes in visibility. The last issue we have is diver’s expectations. Some people have an unrealistic idea that we have permanent crystal clear waters here. 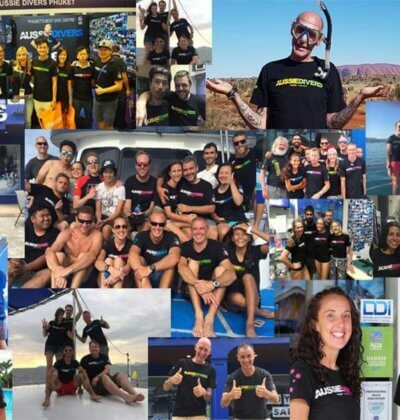 They accept their local dives as what they are however, understandably when travelling and on holidays and paying good money to dive they expect or want it to be excellent. With this though process divers sometimes end up disappointed not because the visibility was particularly poor but because their expectations were so high. We all take a gamble when we dive and we hope and pray for good visibility. We are however at the lap of the gods to what they decide to dive us. We will however try our best to give you an accurate answer. We can let you know what it was but we cannot tell you what it is going to be. Often the answer will be “we don’t know”. Having something to compare to will be helpful. Lastly, we all know the saying “The worst day scuba diving is better than the best day at work”. 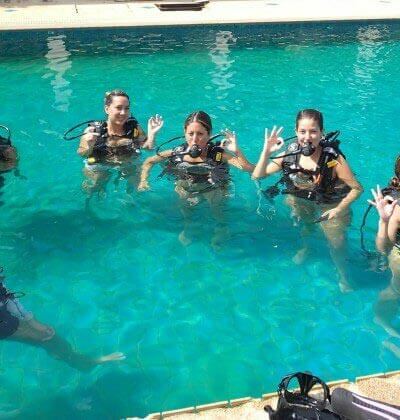 Take care and happy scuba diving. Aussie Divers Phuket> Everything Else> What is the Underwater Visibility Like in Phuket? Posted in Everything Else on March 25, 2019 . 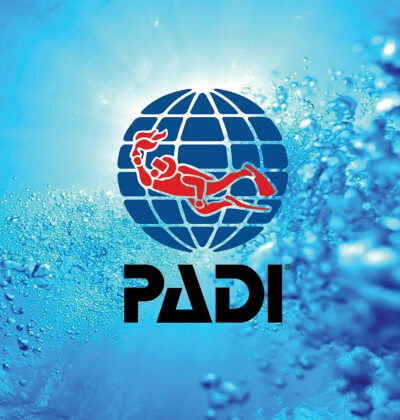 What is PADI? Why Should I Learn with Them?